IBASSIN: 2018 Bassmaster Elite Lake Oahe Day 3: MDJ Out in Front with 56-06 lbs! 2018 Bassmaster Elite Lake Oahe Day 3: MDJ Out in Front with 56-06 lbs! Boyd Duckett 2nd, Casey Ashley 3rd. Drop shot key to Daniels' success. 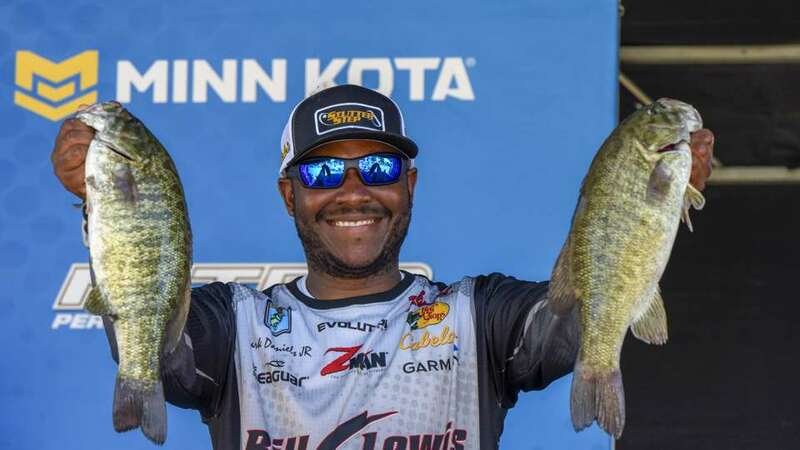 Alabama’s Mark Daniels Jr., who vaulted to the lead in the Berkley Bassmaster Elite at Lake Oahe presented by Abu Garcia Saturday, distanced himself from the rest of the field today. The second-year Elite Series pro brought 17 pounds, 6 ounces to the scales for a three-day total of 56-6, which gives him a nearly 6 1/2-pound cushion going into Championship Monday.